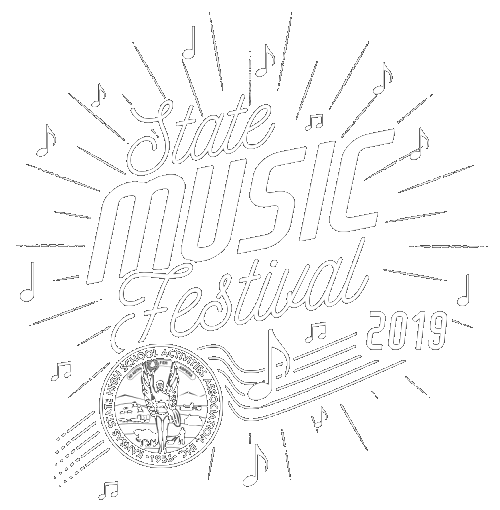 The Kansas State High School Activities Association (KSHSAA) as recommended by the Kansas Music Educators Association (KMEA) has adopted a Required Music List for KSHSAA State Music Festivals - Large Groups. Choral music is diverse in difficulty level, style, and quality. However, 'quality' is not necessarily determined by difficulty level or style. Providing choir students with a quality music education through performance requires the selection of quality music for rehearsal and performance. This year's committee joined the age of technology and used a shared spreadsheet for their nomination and voting on new titles. This helped increase the number of titles reviewed and ultimately added 172 titles, which is almost three times as many titles added in the past. The KSHSAA wishes to thank the following choral directors who gave so generously of their time and knowledge to revise the updated list: Chair Scott Hay, Wichita South HS and committee members, Greg Bontrager, Buhler 8-12 Vocal Music; Jonnie Bryce, Lansing HS; Steve Miller, Senseney Music; Susan Nelson, Oberlin/Decatur Community HS; Jennifer Potochnik, Wichita East; Bob Schofer, Lansing MS; Tiffani Thompson, Harmon HS. Special thank you goes to Senseney Music for providing a meeting space. The Required Music List will be updated every three years by KSHSAA, KMEA and the Kansas American Choral Directors Association (KsACDA). This music list will be revised for the 2020-21 school year. 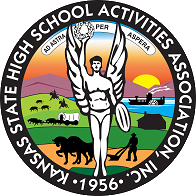 Persons wishing to submit selections for consideration should forward a copy of the conductor's score OR Title/Composer/Publisher/URL of the score to the KSHSAA prior to May 1, 2020. Web posting of the Required Music List and enforcement of music policies will be the responsibility of the KSHSAA. Web list may be downloaded but will no longer be printed and published. Required Voicing indicates editions should be chosen with voicing indicated in the list — example: substituting SAB arrangements where SATB is indicated would not be allowed. Suggested Publisher allows directors greater flexibility where more than one edition is available. Multiple Selections listing are indicated in boldface. Titles known to be permanently out of print (POP) are so indicated. Choral groups, with their principal's consent, may request permission to perform literature from one classification lower than the required level. All requests correctly submitted will be automatically approved. Similar requests must be resubmitted each school year. NOTE: School groups not meeting the music literature requirements will not be allowed to perform. If discovered during or after the performance, "Comments Only" will be recorded and a letter of non-compliance mailed to the school's principal.